Ebi was rescued from a shelter. She had been found stray, so we don’t really know anything about her. We think she is really a Besenji mix of some kind, not a Shiba. Of course, COSIR wasn’t going to let her sit in that shelter, so here she is! She is extremely fearful of people and will need adopters experienced with this. She acts like a puppy mill survivor with PTSD and it could take months to a year for her to be rehabilitated, but we are seeing good progress in the short time she’s been with her foster. She is building trust with her foster family. She has learned to walk on leash and enjoys her walks. She absolutely loves her foster brother, Shiba. 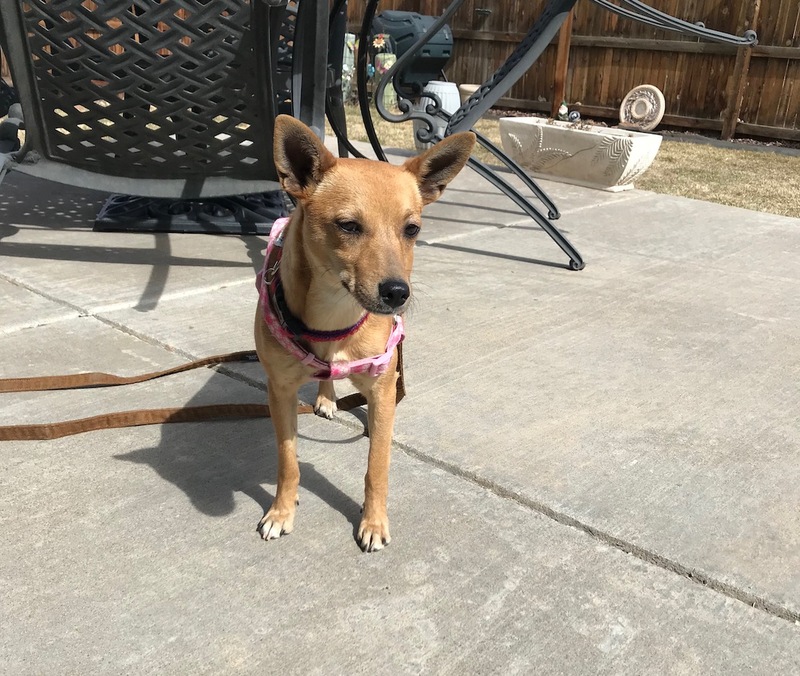 She wants to play with him and is always more comfortable around humans if he is present and getting positive attention from them, so she MUST have a home with another dog. She cannot live with small children and needs a very quiet, low activity home. Ideally she’s live with someone who is home mostly, and has the time and desire to work with her. She has not been tested with cats. The shelter estimated her age as 3, but she acts like a puppy in that she is a bit mischievous. 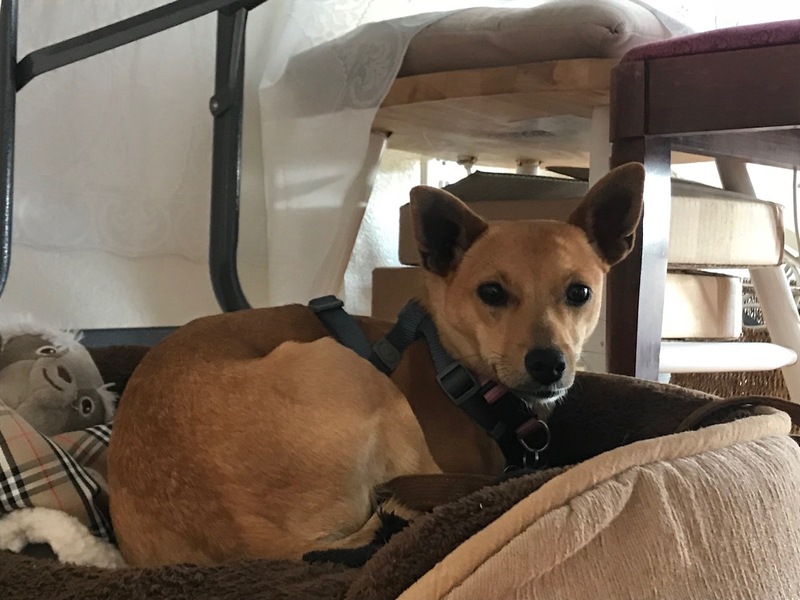 She has a big personality, so maybe she is part Shiba 😉 We are looking for a very specific, experienced adopter for her and she is in a fantastic foster home, so we will wait for the perfect home for this little one. We named her Ebi (shrimp in Japanese) because she is a tiny little thing. She is as cute as she can be and we can’t wait for her to come out of her shell in her forever home! 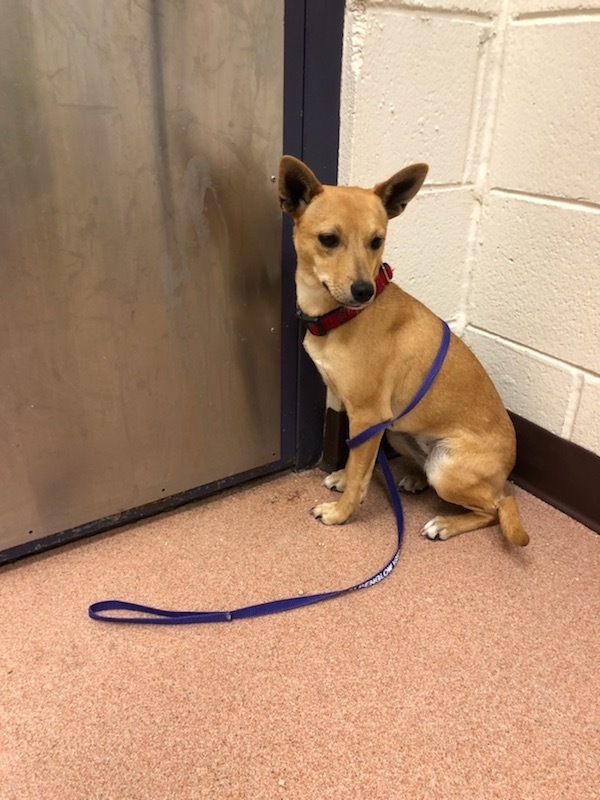 Her adoption fee is $350 and includes her spay, vaccinations, heartworm test, deworming, microchip and initial private training session with a rescue approved trainer.